Social Justice Spotlight: How we save our union and build an organization that fights for social justice with the communities we serve. When I became a teacher in California 25 years ago, I had no idea what a union was or that I was even a part of one. Over time, I learned that I was indeed a union member, though during my first few years I continued to notice little evidence of its actual existence. Eventually, I learned that unions were responsible for most of the benefits and protections that were available to me. However, the union that won those fights seemed like a distant past. For years, my union appeared mostly irrelevant, at least as far as I could see. In fact, during bargaining one year, due to its failure to gather input from its members, I conducted my own questionnaire and submitted the results to my union president. For many years, as an educator who wasn’t a building representative or union officer and had never attended an OEA Representative Assembly, I was unaware of the good work that my local and state union had been up to. If I hadn’t attended last year’s RA, I would most likely have been ignorant of OEA’s efforts to combat institutional racism. My experience begged the questions: How do we transform OEA into a union that is relevant to the daily lives of all of its members, not just the few who currently choose to be involved, and not just during contract bargaining? And, how do we transform OEA into a community-focused and democratic institution that is less concerned with lobbying and electoral politics, and more concerned with building power in partnership with community members and grassroots organizations? The answer: move to a model known as social movement unionism, and start in our locals. 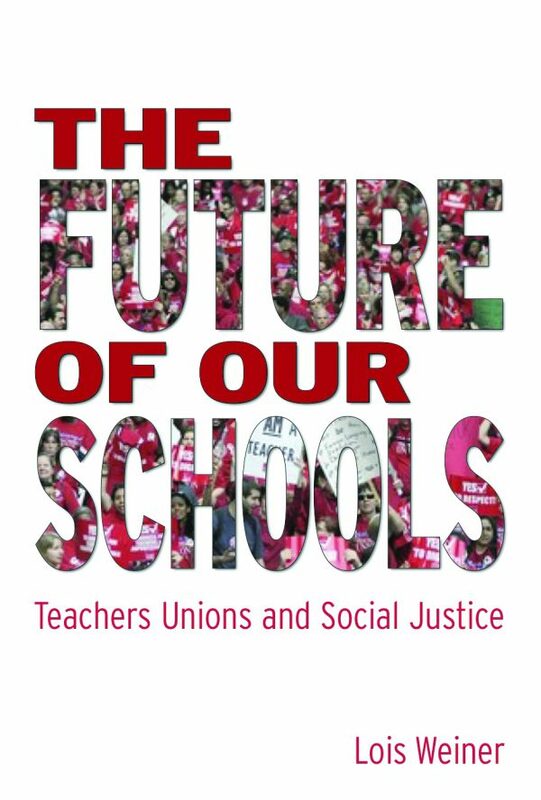 In her book, The Future of our Schools, educator Lois Weiner begins her description of social movement unionism by contrasting it with the most typical model of unionism today: business unionism. A business, or service model of unionism, “exists to provide services.” Those services could be everything from supplemental insurance and credit card offers to legal representation. They could also include the lobbying of government officials and legislators, as well as supporting political candidates’ campaigns and initiatives/ballot measures. Decisions are made by a small minority of members who are usually the officers, while the majority of members are left out of the process, with the exception of an occasional email or newsletter, or the annual representative assembly. Weiner defines social movement unionism as a model in which 1) social justice issues and the welfare of the broader community are a priority, as opposed to the more narrow focus typical of today that’s limited to the immediate economic needs of the members, and 2) every effort is made to make decisions democratically. “Instead of waiting for ‘the union’ to do something for them,” Weiner adds, “members need to be educated that they are the union.” A telltale sign of a service model union is when members refer to their local as “the union,” meaning “those people,” that small group of union officers who make the decisions and do the work . The more you hear members referring to their local as “we,” not a separate entity, the closer they are to moving toward a social movement model. "Members are having meaningful conversations with parents, holding listening sessions to get a sense of what the needs and concerns of the community are, attending events and having a presence in the community, offering resources to and demonstrating solidarity with community members in their struggles." 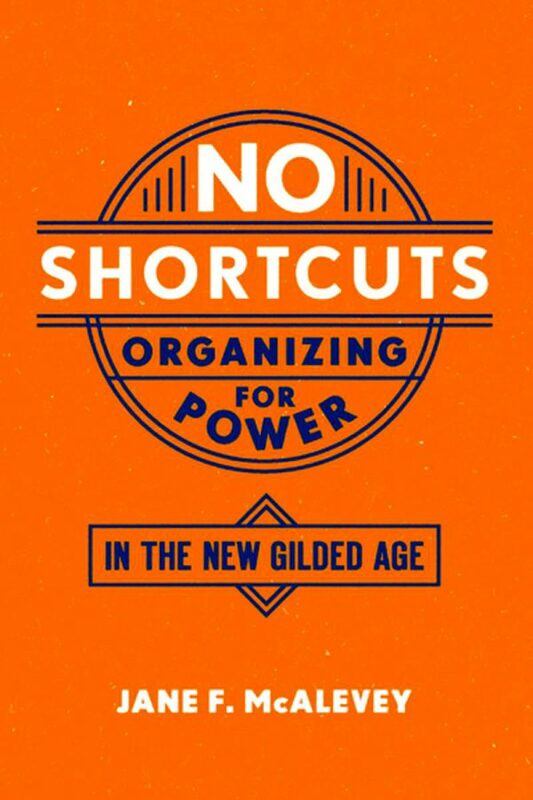 Jane McAlevey, in her book “No Shortcuts: Organizing for Power in the New Gilded Age,” describes three types of union models, or approaches to change: Advocacy, Mobilizing, and Organizing. Advocacy involves a small number of people making the decisions and doing the work (such as lobbying). Mobilizing also involves a small number of people making the decisions, while using large numbers of people to do the work (such as the campaign for Measure 97). Both of these models can sometimes bring about change, but they keep the power in the hands of a small number of people, sometimes referred to as “the elite.” Only McAlevey’s organizing model transforms power from the elite to the people, and that transformation is essential for any genuine transition to social movement unionism. So, what does social movement unionism look like at a local level? A local union that has embraced social movement unionism is closely connected to its community. Members are having meaningful conversations with parents, holding listening sessions to get a sense of what the needs and concerns of the community are, attending events and having a presence in the community, offering resources to and demonstrating solidarity with community members in their struggles. Sometimes, this might mean encouraging community members to take action, to embolden them, to promote a sense of empowerment. Other times, it might mean simply joining with them in direct action. Social movement unionism even means that community members are a part of the bargaining team. True social movement unionism doesn’t look like a union taking on the role of a savior; it means that there’s a genuine partnership with the community. Secondly, a union that is striving for the ideals of social movement unionism is constantly looking to empower its own members to take action and to be involved in the decision-making. Bargaining teams are large. The general membership is regularly asked for feedback, but more than that, there is an overwhelming sense shared by members that they are the union, rather than the officers or executive board. When members have concerns, they band together and take action themselves, rather than expecting union officers to do it for them. Social movement unionism is more than social justice unionism, and the distinction is important. A social justice model simply means that the union is focused on social justice issues. A social movement union is also focused on social justice issues, but it prioritizes democracy internally and working in partnership with a broader community externally. If you are an activist or organizer in your community (or aspire to be), consider doing that work within your local union, and utilizing its resources, or OEA’s, or NEA’s when possible. The NEA has recently come out with grants for locals interested in community organizing. Whether the issue you’re most passionate about is racial justice, economic justice, or climate justice, whether you want to fight for immigration reform or against mass incarceration, look for allies in your union and in your community. One way to create interest is by starting a book discussion group, and putting these books on your short list: The Future of our Schools, by Lois Weiner; No Shortcuts: Organizing for Power in the New Guilded Age, by Jane McAlevey; and How to Jump-Start Your Union: Lessons from the Chicago Teachers, by Alexandra Bradbury, Mark Brenner, Jenny Brown, Jane Slaughter, and Samantha Winslow. Following a social movement model isn’t a static goal or destination, but rather a constant process, and one about which unions should never feel a complete sense of satisfaction. By definition, social movements are constantly moving. Following a social movement model requires members to be regularly re-evaluating and re-assessing the direction of their union. That said, there are unions that have exemplified what a social movement union looks like. 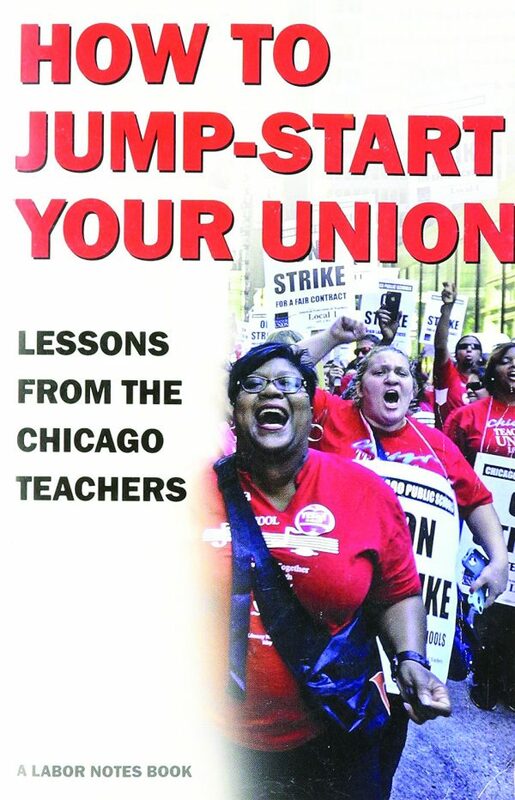 The Chicago Teachers Union is probably the most well-known. But there are examples, or at least glimpses, of social movement unionism right here in Oregon. Reynolds Education Association started facilitating listening sessions with marginalized groups in their community, Portland Association of Teachers began focusing on housing justice and began working with Portland Tenant’s United, and OEA has been supporting Latinx communities in the fight for immigrant rights. Highlighting those examples is the purpose of this column, and members are encouraged to share their experiences here. Transforming our locals, and eventually OEA, into unions that exemplify social movement unionism, is important because it’s the right thing to do. If we truly believe that “an injury to one is an injury to all, the fight for social justice is worth fighting on its own merits. But it’s also essential to saving what’s left of our union power. Our unions are under attack, and there are no signs of that letting up anytime soon. To save us, and to reach our true potential as a force that fights for its members and its community, we must move to social movement unionism.